When you think of great theme parks in North America, you instantly think of Disney and Cedar Point, but did you know that the most visited seasonal theme park in North America is actually in Canada? Canada’s Wonderland in Vaughan, Ontario has that title and is an explosive amount of fun for any coaster and thrill ride enthusiast. The idea for the park was always there, but the planning stages had designers and higher-ups dizzying to make decisions. After a long planning stage that had the park slated for three different locations, the park was finally being constructed in Vaughan, a city that is right outside of the city of Toronto. Many were skeptical of a theme park in the area and the amount of revenue it could bring in. 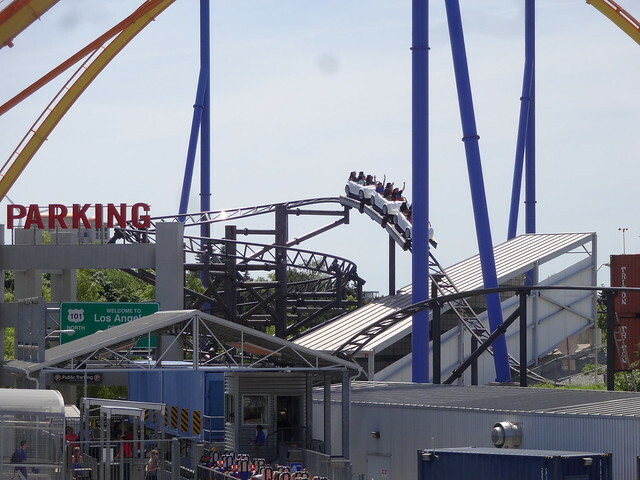 After showing the investors what happened in Cincinnati with Kings Island, the problem was solved and the park opened in 1981 and was owned and operated by the Taft broadcasting company. Kings Entertainment began operating the park in the late 80s and early 90s until they purchased the entire thing and became owners in 1993. This is when the park’s name was changed to Paramount’s Canada’s Wonderland. The park was booming with thrill rides and new coasters when Viacom purchased Paramount and tried to bring the families in with Nickelodeon characters. The park was flourishing in the late 90s and early 2000s with an addition of a waterpark and even a Halloween Haunt event each season. In 2006, Cedar Fair had acquired the park and changed the name back to Canada’s Wonderland. Over the first few years, the park was in a transition period. After renaming all of the rides and getting the name branded, the park began unveiling new rides and attractions that would bring guests in by the millions. Canada’s Wonderland has 16 roller coasters which is second in North America and also has a great selection of rare flats. Some of the most famous coasters are Behemoth that was built in 2008 and the big B&M Giga Coaster known as Leviathan that was built in 2012. There is a coaster for every member of the family and something to do for everyone. Next time you are up north, head through customs and try out Canada’s Wonderland…EH?